It’s been a while since I went back to my hometown. 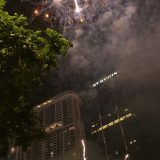 If I was not mistaken, I went back to my hometown during Christmas holiday last year. Got off from home at 3:39am on 28th April, just to avoid the road closure due Bersih 3.0 that will happen that day. Stop by at Sungai Perak R&R, feeling so sleepy and decided to have a nap for a while. Got up and freshen up, and it’s another 295km worth of distance to go to Pasir Mas, with the estimated journey time of 5 hours and 6 minutes. 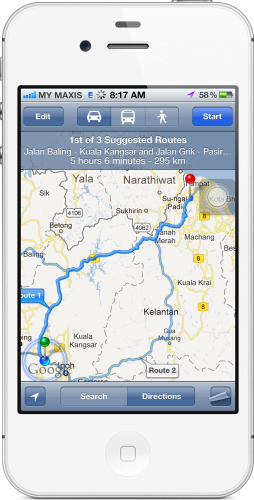 Decided to take the Grik route again this time, just to avoid the winding road between Kuala Lipis and Gua Musang. 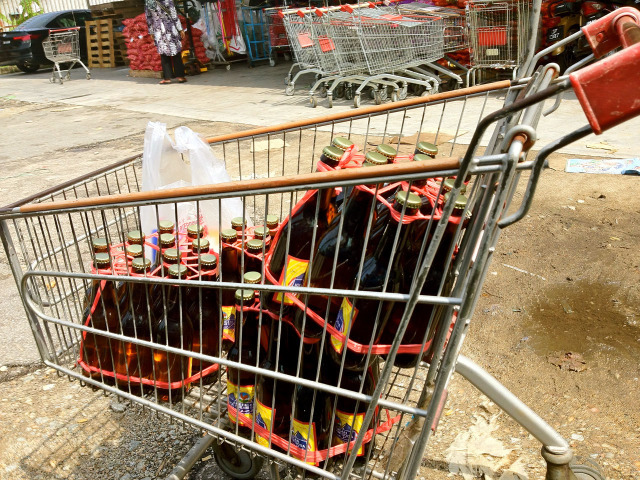 Lack of “lorong memotong” there makes taking over the big lorry or bus really difficult. It almost 1:30pm on that Saturday, and I’m approaching the final destination – my mum’s house. This is the infamous “Kampung Lemal”, since the round about that leads to Pasir Mas, Kota Bharu, Rantau Panjang and Tanah Merah is located here. 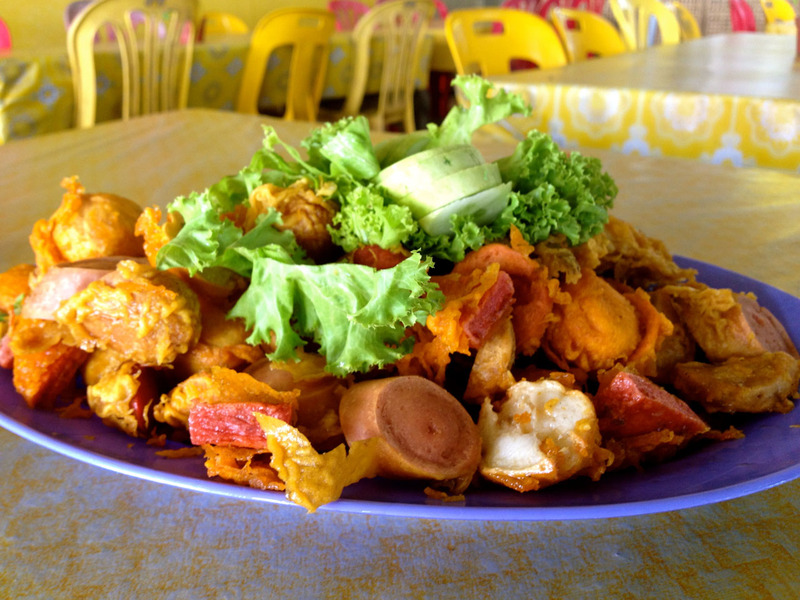 I miss Kelantan dishes so much. 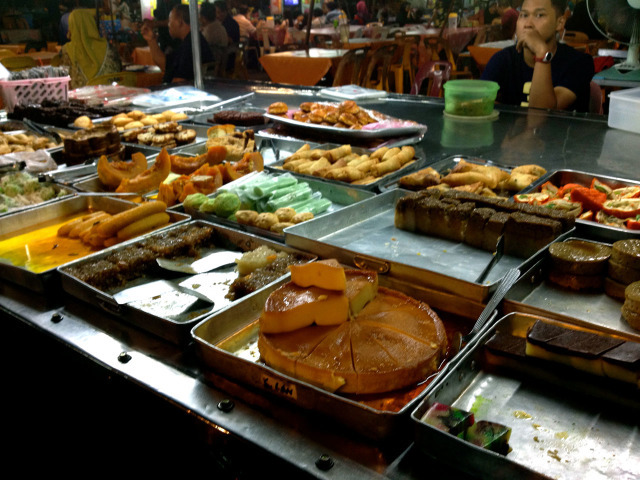 Kelantanese called this “nasi kapit”. 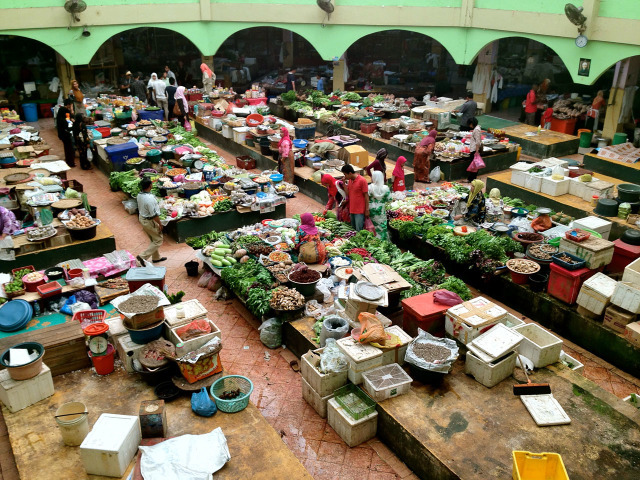 You can find “nasi kapit bersambal” almost everywhere during breakfast time. 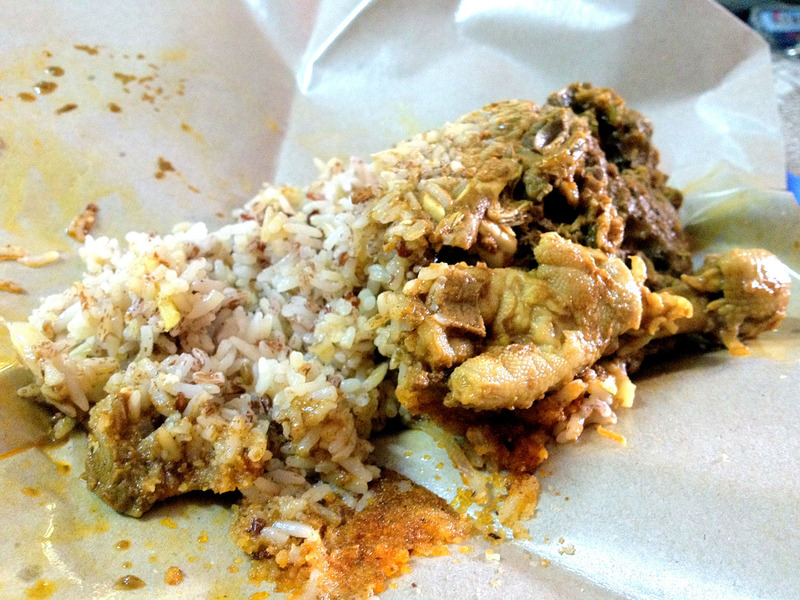 Being a fan of Nasi Dagang, this is something that I never miss everytime I went back to Kelantan. 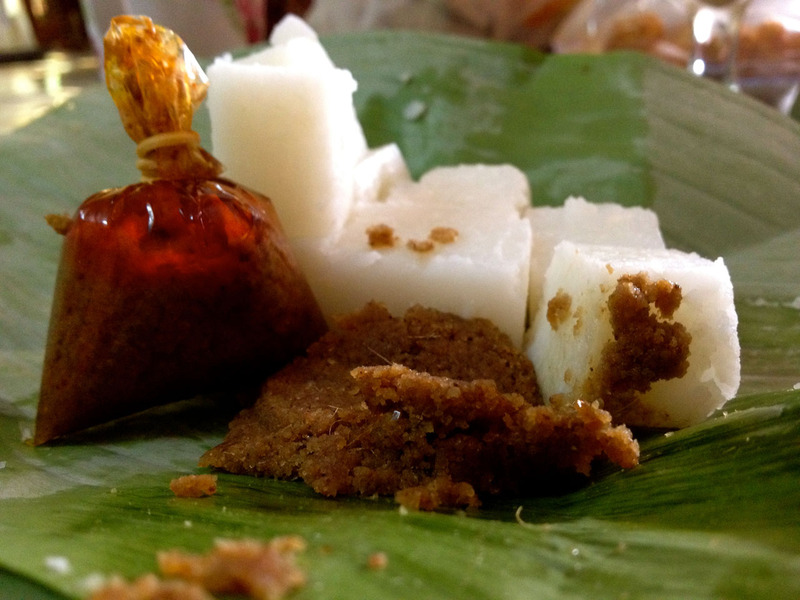 Kelantan and “manis” (sweet) cannot be separated. These unique and sweet delicacies are something not to be missed too. 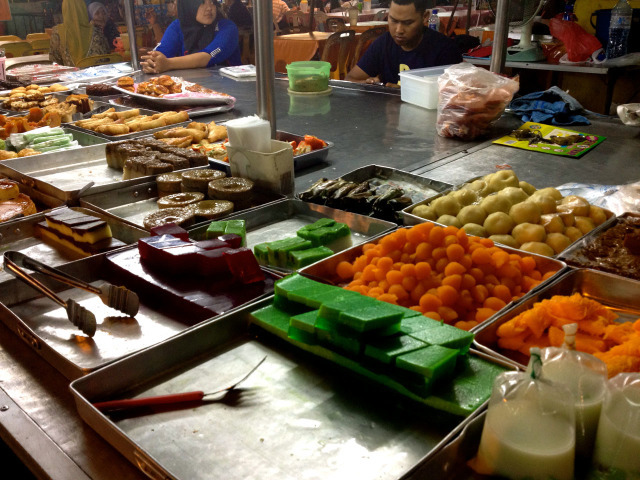 Well, I usually see the same thing in Kampung Baru, but the taste is not even close to those you can find in Kelantan. This is another thing that I must get when I’m back here – Air Botol Kelantan. 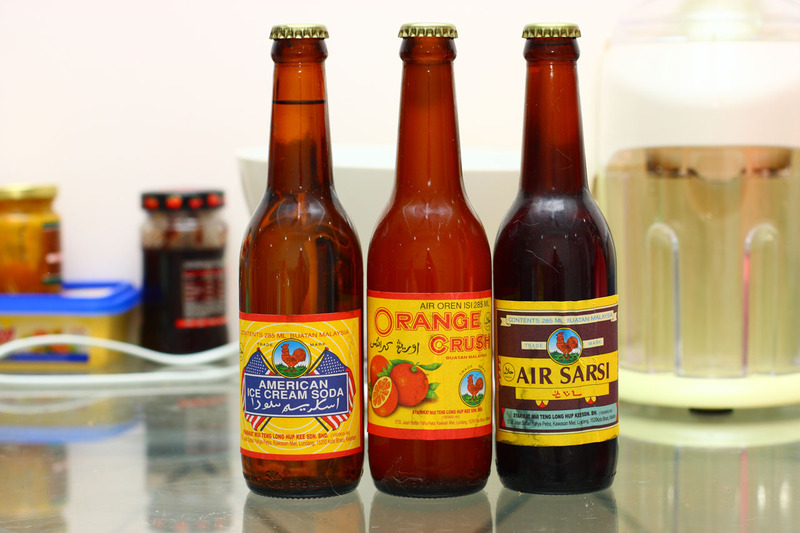 Priced at RM8 per pack of 12 bottles (1 dozen). That is RM0.67 per bottle. It’s been a while since I last went to Pasar Siti Khadijah. 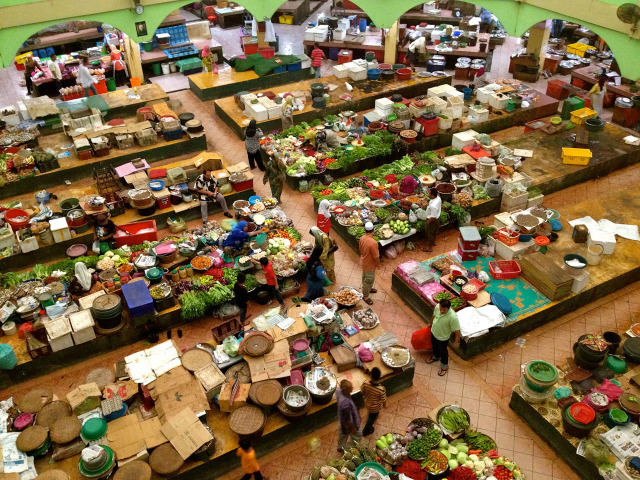 This is the infamous the heart of this pasar. So after I got all the things that I want, I stopped by for a while for “mee kuah”. 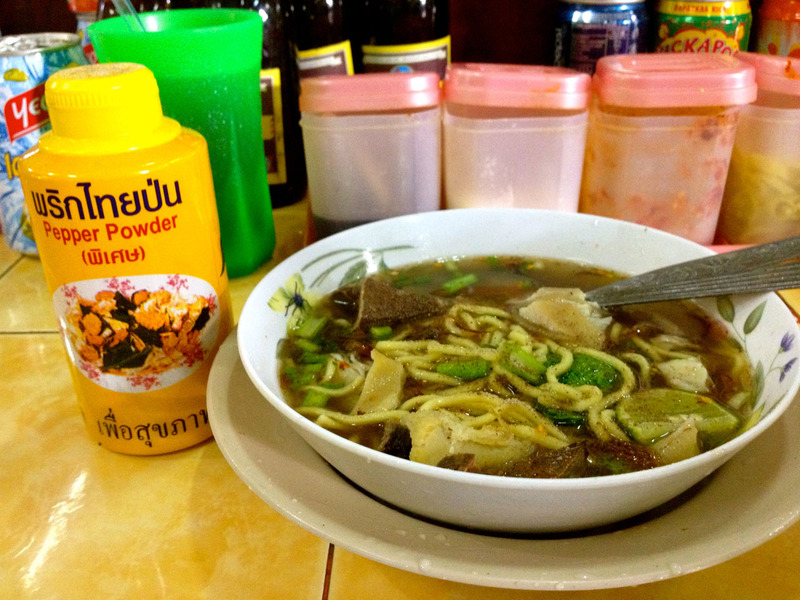 Taken with the pepper powder from Thailand – just can’t describe how tasteful it is. 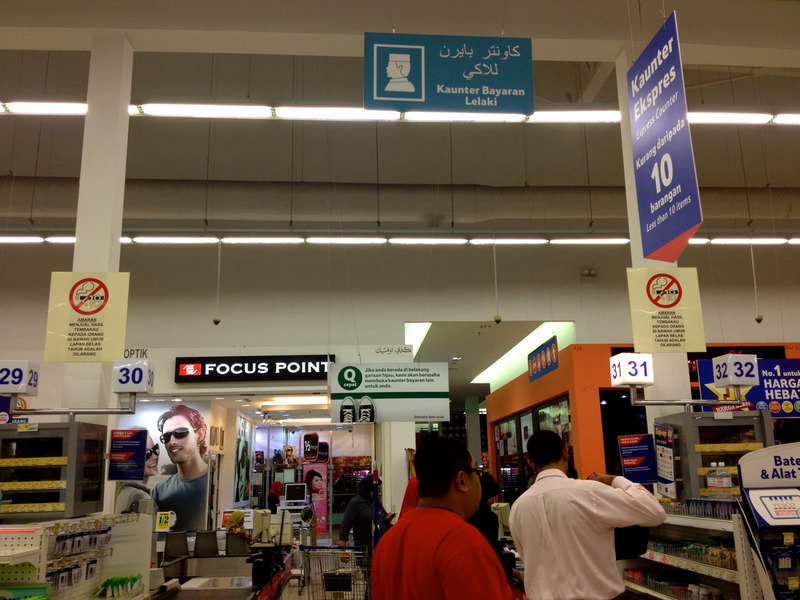 If you go to any shopping mall in Kelantan, you will see that the payment counters are seperated for man and woman. During the early implementation, I see that man are only queueing at men’s counter, and women are queuing at women’s counter. But from my observation, men’s counter are usually not having a very long queue, and sometimes just empty, since usually it’s women who did most of the shopping. Seeing that there’s no one at men’s counter, women will usually come and queue at men’s counter. But nowadays, it seems that this is no longer in effect – people just simple queuing at the shortest queue counter. During my trip back to Kelantan this time, I don’t missed going to Pantai Cahaya Bulan. Nowadays, PCB is no longer like it used to be, where it suffers quite severe beach erosion. But it’s still a good place for fried seafood. I was lucky again this time to meet “lok cing” seller. 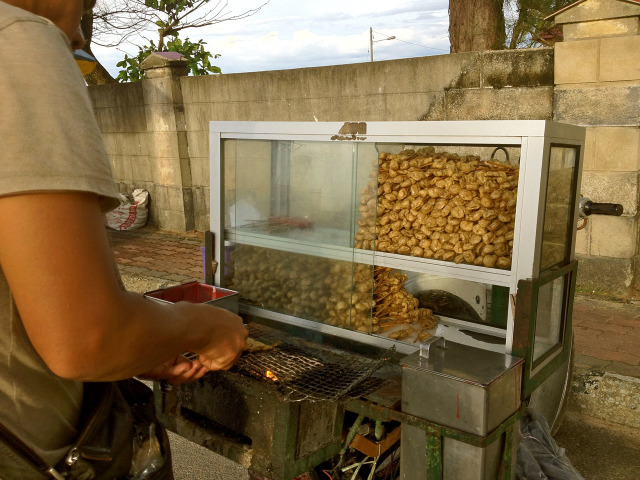 This is actually a fish snack on a stick, and it’s quite common during my childhood. Used to be priced 10 sen per stick. But nowadays, it’s already 20 sen per stick. And one of my main goal for “balik kampung” trip this time is to find The Red Warrior jersey. It is quite a challenge for someone with a big size body like me. The one that I show here is XXL size, but it is still way too small for me. I’ve asked the sales girl, and she said that usually when the order came, they have the size up to 4XL. But the next order will only arrived this 5th May, which I will be back to KL already. 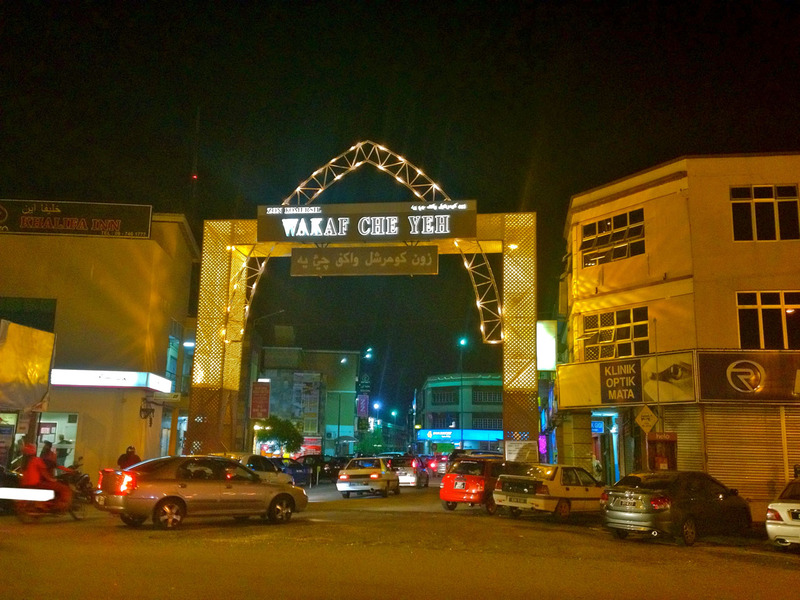 So in the last night that I’m in Kelantan, paid Wakaf Che Yeh a visit. Although it’s quite happening here, but I tried to avoid coming here as much as possible, as the parking is nightmare, and the traffic around this area moving really slow. But for the TRW jersey, here I come. Strolling from shop to shop, they don’t have big size one in stock, until I came to a shop that has 3XL size. Although it’s not the latest design, I guess I can just settle with that first, until my next trip back to Kelantan. It’s a sweet 4 days trip back to Kelantan. But out of all the various things that I bought and did here, visiting my mum back in my hometown is priceless. kalau g wakaf cheyeh takyah parking dalam pintu gerbang tu kena baya parking… ampehs… baik lagi parking kat luar sikit tu pre jah..